Indian smartphone market is getting filled with Chinese companies with more companies launching their phones on a regular basis. While, companies like Xiaomi, OnePlus have made a big name, there are few companies which are still struggling to make their presence felt. Phicomm started its journey in the month of June but, has failed to impress the users. However, the company is still trying hard to establish itself which is the reason that Phicomm has come up the cheapest 4G smartphone in the market, Phicomm Energy 653. The device is priced at 4,999 and will compete against big brands like Motorola and Lenovo. So, is it worth buying or not? Every smartphone company is trying to woo the customers by offering some unique features. And, what happens when you run out of features? You start offering them at a lower price. 4G is one of the biggest trends these days and Phicomm has beautifully used it. Phicomm is now the cheapest phone which not only offers 4G but, offers 4G on both the SIMs. The phone offers some decent specs which include a 5” HD IPS display and a 1 GB of RAM. It is a low-budget smartphone so you can’t really ask for any better specs. The device is powered by a 1.1 GHz Quad-Core Qualcomm Snapdragon 210 processor with Android 5.1 out of the box. There is 8GB of internal storage which can be extended up to 64 GB. At 4999, the device is already offering better specs than its competitor. When it comes to low-budget Chinese smartphones, you can expect a decent look and design. The same is the case with Phicomm Energy 653. The phone features a glossy back with nothing much special at any side of the device. The phone is backed up by a 2300 mAh which is average at this price range but, it could have been around 2500 mAh. 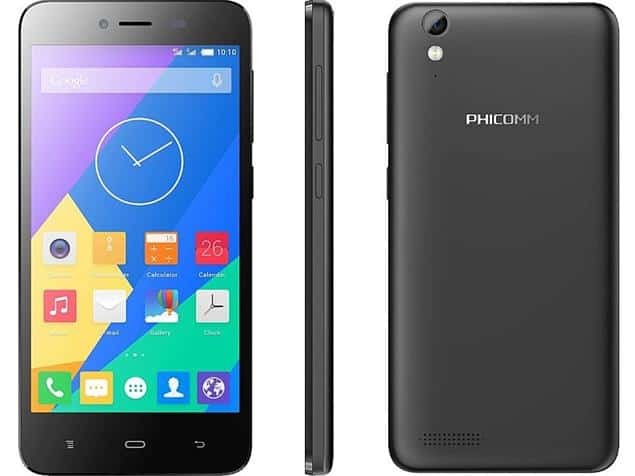 At 4999, Phicomm Energy 653 is a decent choice considering you are getting all such features at Rs. 1000 less when compared with same range smartphones. 4G Connectivity and Android 5 comes as an added advantage. The 8 MP rear camera do look big on the number but, is nothing compared to what an 8 MP camera actually is. Despite being an 8 MP shooter, the quality is not even like a 2MP camera. If you are planning to buy a phone with a decent camera, you can opt for Lenovo A6000 has it clicks much better pics in its class. The 2MP front camera is just not apt for clicking selfies even in bright sunlight. “Phicomm Energy 653” online from Amazon. The Devices Are Getting Smarter, Are We?